Most people will have some degree of low back pain at one time or another. Our body movements usually do not cause problems, but it's not surprising that symptoms develop from everyday wear and tear, overuse, or an injury. Back problems and injuries often occur during sports or recreational activities, work injuries, or from home projects. • The discs that separate the vertebrae and absorb shock as you move. • The muscles and ligaments that hold the spine together. Back injuries are the most common cause of back pain. Injuries frequently occur when you use your back muscles for activities that you do not do very often, such as lifting a heavy object or doing yard work. Injuries also may occur from tripping, falling a short distance, or excessive twisting of the spine. Severe back injuries may result from car accidents, falls from significant heights, direct blows to the back or the top of the head, a high-energy fall onto the buttocks, or a penetrating injury such as a stab wound. Although low back pain is often caused by an injury to one or more of the structures of the back, it may have another cause. Some people are more likely to develop back pain than others. Factors that increase your risk for back pain and injury include getting older, having a family history of back pain, sitting for long periods, lifting or pulling heavy objects, or having a degenerative disease such as osteoporosis, arthritis, or degenerative disc disease. Low back pain may occur in children and teenagers, but children and teens are less likely to see a doctor for low back pain. Although most back problems occur in adults who are between the ages of 20 and 50, back problems in children who are younger than 20 and adults who are older than 50 are more likely to have a serious cause. • An injury to the ligaments or muscles in the back, such as a sprain or a strain. • A fracture or dislocation of the spine. This can cause a spinal cord injury that may lead to permanent paralysis. It is important to immobilize and transport the injured person correctly to reduce the risk of permanent paralysis. • A disc bulge or torn or ruptured disc. If the tear is large enough, the jellylike material inside the disc may leak out (herniate) and press against a nerve. Back and leg pain may not be related to an injury. • Conditions that weaken the spine, such as osteoarthritis, osteoporosis, spinal stenosis, or Paget's disease, can cause back pain. These conditions are most common in older adults. In rare cases, tumors or infections can develop in or around the spine. • Some medical conditions can cause pain to spread to the back from other parts of the body (referred pain). Many health problems that can cause back pain have nothing to do with the bones, joints, muscles, or ligaments of the back. • Spinal deformities such as scoliosis, kyphosis (Scheuermann's disease), and spondylolisthesis can cause back pain. • Chronic pain syndrome caused by a previous injury, degenerative disc disease, herniated disc or a degenerative arthritis can cause back and at times leg pain. The more time you spend sitting at a desk, in a car, or in front of the television or a computer, the more you must do to prevent back pain. Good posture, proper body mechanics, and exercise will help you prevent back pain. • Maintain an ideal body weight. This reduces the load on your lower back. Lose weight if you need to. • Practice good posture and body mechanics. • Sleeping or resting positions that protect your back. 1) Lie on your back with your knees bent and supported by large pillows, or lie on the floor with your legs on the seat of a sofa or chair. 2) Lie on your side with your knees and hips bent and a pillow between your legs. • Adjust your car seat so that your leg is not reaching for the pedal when you drive. Your arms should be in a slightly flexed, comfortable position. • Always wear your seat belt while you are in a motor vehicle. • Begin moderate aerobic exercise. Start a walking program on level surfaces help keep your muscles strong. Initially avoid hills and stairs. Walk only distances that you can manage without pain. Start with 5-10 minutes and add 5 minutes every third day of your program. Sometimes back pain will get better and go away in 1 to 4 weeks. However, as the number of back pain episodes increases, the likely hood that the pain will go away on its own decreases. Home treatment, such as the use of heat or ice, will often help relieve back pain that is caused by minor injuries. It is usually a good idea to continue your regular activities while your back is healing. However, you shoulder avoid heavy lifting and activities that seem to make your back problems worse. Other treatments for back conditions or injury may include exercises for low back pain, first aid measures (heat or ice), physical therapy, manipulative therapy (such as osteopathic therapy), medicine, and in some cases, surgery. Treatment depends on the cause of the low back pain, the location, type, and severity of the injury. A person’s age, health condition, and activities (such as work, sports, or hobbies) may also dictate treatment options. 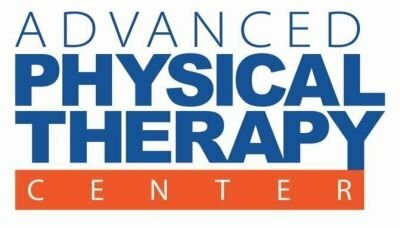 Physical therapy treatments, at Advanced Physical Therapy Center, focus on the causes that lead to back pain. Theses causes include poor posture, weak abdominal muscles, tight hip and back muscles, and decreased trunk motion (range of motion). These problems can lead to pain from disc bulges or herniation, pinched nerves, and arthritis. Treatments may include trunk strengthening, range of motion/ stretching exercise, initiation of aerobic exercise program, posture and spinal mechanics instruction, soft tissue mobilization, myofascial release, joint mobilization, and modalities for pain control such as heat, ice, ultrasound, and/or electrical stimulation.